When orders are placed through the Shop page they are automatically placed in the Outstanding status. 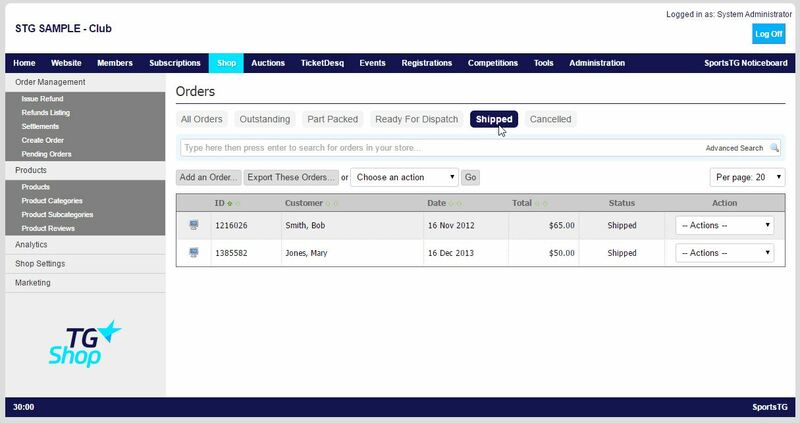 Each order can then move through a number of statuses going from outstanding to completion. Once an order has been sent, you should move it into Shipped to complete the order. 4. The Order will then move into the Shipped area and the amounts will be settled to your organisation. Note: Payments for sales are not settled to your organisation until after an order has been completed, so always Complete an order once it has been sent.